During CNN's Republican presidential debate, former Hewlett-Packard CEO made pretty big claims about what she would do if she were elected president. Fiorina said she would make a couple calls when she first entered office, and the first she said would be to "her good friend Bibi Netanyahu," Israel's prime minister, to tell him that the U.S. would stand by Israel no matter what. 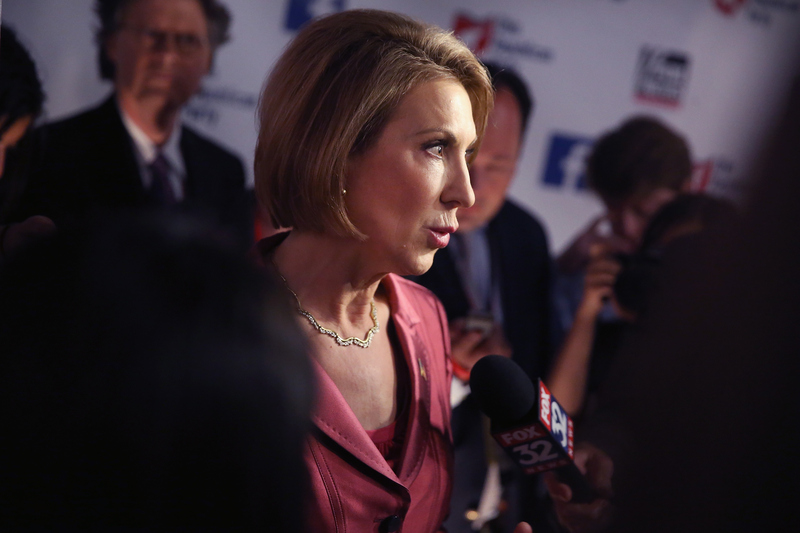 But is Carly Fiorina actually friends with Benjamin Netanyahu? There isn't much evidence that they have any kind of close personal relationship. Fiorina made the same claim in the last GOP debate when she said she would call Netanyahu and that they were friends, but she never elaborated on how they became friends or how she met him. At the Conservative Political Action Committee in February, Fiorina said she knows Netanyahu after having met with him in his office one time, according to The New York Times. It's unclear when Fiorina met with Netanyahu or why, but she has repeatedly touted the meeting as proof of her foreign policy experience. She even said that she knows more world leaders than any other candidate — except for Hillary Clinton, according to On The Issues. Like Hillary Clinton, I, too, have traveled hundreds of thousands of miles around the globe. But unlike her, I have actually accomplished something. People underestimate [my knowledge]. The truth is, I have a great deal of experience and know a lot of these people who have been in and out of a lot of these countries. It's clear that Fiorina has probably met with many leaders across the world, but she hasn't met with them enough to call them "friends." But she definitely has a strong knowledge of who the leaders are, which is more than many of her opponents can say.